GR: Why don't we start with a little background on how you got involved in music. BV: Well I started really young. I was born in Orocovis, Puerto Rico. At the age of six my mother died and I had to move to Coamo to live with my older sister, which I consider my mother. By then I had already started to play guitar. I was taught by my father. It was in Coamo that I really started to study music. There is a contest every year in the plaza in Coamo. We had started a trio in school. I played lead guitar and sang the third and fourth voice parts. We entered the contest one year and won first prize. I was about eleven years old at the time. One of the teachers, Mr. Suarez, suggested that I attend the Jose Quinton Academy of Music because he felt that I was somewhat talented. I remember he assigned me an alto sax. I would tell him that I didn't like it. But he wanted me to play the alto sax because it was a lead instrument. I wanted to play the trumpet, but I had to give it a try. After about six or seven months I told him I didn't like it and he assigned me a trumpet. That's when I really started to learn the basics. I started to really study the music and eventually I started to play around Coamo in various groups. After a while I left Coamo for New York City some time in 1956. GR: How old were you at the time? BV: I was 15 going on 16. I went to New York and studied at George Washington H.S. in Washington Heights. I had some good teachers there and I continued studying the trumpet and music. I was also studying trumpet with Carmine Caruso privately. I also studied with Clyde Resinger. I don't know if you remember him. He's an old-timer. I use to practice on forty-eighth Street near Manny's. There was a rehearsal studio there. I use to pay just twenty-five cents an hour. That was when I started with Joe Quijano. We had started a group with Chu Hernandez that we named Los Satelites. It was just a local band. Professionally I started with Joe Quijano. At the studio I mentioned before I would practice with Art Farmer, Clyde Resinger, and this classical trumpet player by the name of Louie Mucci. We would form trumpet trios and quartets. I learned a lot from those guys. I would ask them a lot of questions and they would teach me many things. That was how I learned most of the music theory I know. From the street and books. I started playing professionally in 1958 with Joe Quijano. I then went on to Willie Rosario's orchestra afterwards. I started arranging while with Willie's band. GR: Willie was also from Washington Heights, right? BV: Yes, Willie lived on 169th Street and Broadway. I then played with Charlie Palmieri. With Ray Barretto I played bass. At the time I use to switch between the trumpet and the bass. GR: You played with Ray's Orquesta Riverside? BV: Yes, it was before Fania with the charanga. I use to play guitar, which made the bass an easy instrument for me to learn. I was playing both trumpet and bass at the time. After that I started to play with Tito Rodriguez back in 1963. I stayed with Tito for approximately a year and a half. GR: That was before Tito moved back to Puerto Rico, right? BV: Yes. Julio Andino was the bass player at the time and I was playing trumpet. I went to Venezuela in 1963 with Tito, and then again in 1964. During that time I was writing arrangements for Willie Rosario and a few other guys. I remember the very first arrangement I wrote for Willie Bobo. It was in either 1960 or 1961. I wrote the lyrics and the arrangement. Willie had asked me to arrange a chachacha for electric guitar, piano and bass. Do you know that he paid me $175.00 in 1960. When I saw that check for $175.00 I thought I was in the big leagues because I never charged that much in those days. I use to get paid between twenty and twenty-five dollars for a pair of arrangements at the time! I was in the major leagues from then on. During those years I collaborated and played with many musicians like Louie Ramirez, may he rest in peace, Charlie Palmieri, Joe Quijano, Willie Rosario, Ray Barretto, Tito Rodriguez and I learned a lot with those guys. In 1965 I formed the orchestra and I have kept it alive to this date. I made about three trips to Puerto Rico with the band back in those days and after the third occasion I decide to make the move back to the island. GR: What year was that? BV: That was towards the end of 1968. Around August of that year I came to Puerto Rico. I brought the original band and they stayed for about six or seven months. When they went back to New York I had to get local musicians. I would go back to New York four or five times a year for recordings for Fania. We did LIVE AT THE RED GARTER. I was still playing trumpet then. After that we did Cheo's album. I did all the arrangements. GR: Let's back up a minute. How did you get hooked up with Fania? BV: Ok, I did leave that out. I use to do a lot of writing for Pacheco. We're still good friends. Pacheco and Jerry formed Fania Records in either 1963 or 1964. We auditioned for Johnny and he then told Jerry that he wanted him to listen to us. Pacheco told Jerry that I was a good friend of his and that I was a good arranger and musician. We then auditioned for Jerry at 147th Street and Brook Avenue. There was a bar over there and we did it there. That's how I got signed by Fania in 1965. I recorded two albums that year with my group. I did EL MENSAJERO for Fonseca Records and YOUNG MAN WITH A HORN for Fania Records. I remained with Fania until 1975. When I left Fania in 1975 I then formed Bronco Records. Even though I left Fania in 1975 I continued my relationship with them ever since. I still travel with the Fania All Stars to this day. GR: You switched permanently to the bass during the recording of your ALGO NUEVO (Fania 401) release. How did that come about? BV: I'm going to tell you how that happened. In 1969 I was playing at the La Concha Hotel here in Puerto Rico. The bass player I had didn't show up one night. Juancito Torres was playing a room at the hotel with Charlie Rodriguez, a sax player. I was going on at eleven and Juancito was finished at ten. The bass player was nowhere to be found, which was no problem because I could play bass. But who was going to play trumpet? One of the guys told me that Juancito was around. I know Juancito for a long time so I spoke to him and asked him to do me the favor after explaining the situation to him. We got up on stage and played and from that day on I remained the bass player. GR: Do you want to mention the name of the culprit who didn't show up that evening and lost his job to the boss? BV: Ralph Cabret, his nickname was Cookie. GR: Did he ever play again after that? BV: Yes, he continued playing after that, but not with my band. He was a teacher at the Ramey Base. He was in the Army. Something had come up at the last minute that prevented him from showing up. In all fairness he was a responsible guy. He called later to apologize at which time I informed him that I would continue to play bass since I really liked it. So from Huracan to now I remained the bass player. People now know me as a bass player and not a trumpet player. When I started the company in 1975 we did the live recording at El Oso Blanco and then the rest of the other albums. During that time I also recorded other groups as well for the label such as Mulenze, Willie Rosario, Ralphy Leavitt, and three albums with Vicentico Valdes. I have just basically been running the label these past few years and re-releasing all that good old music. GR: You were the principle arranger for the Fania All Stars, right? BV: Yes, from the seventies on. GR: How did that come about? BV: Pacheco and I use to work hard on the Fania All Stars. Jerry had a lot of confidence in us. He would tell us to just do whatever we wanted because he knew that the end result would be good. Everytime we would record I use to come to New York from Puerto Rico and stay two or three months working on the project. That was day and night every day. The fact that the music is still played today makes me very proud because I was a part of it all. I was an arranger and musician on those recordings. Everytime I hear one I can't believe that its me. GR: How did the whole idea for the Fania All Stars come about? BV: Well Jerry and Pacheco knew exactly what they wanted to do. They knew the instrumentation they wanted from the very beginning. They wanted a real heavy sound. The heaviest sound at the time would be three trumpets and three trombones. You know that when you listen to three trumpets and three saxes it sounds weak. But not so for real brass like the three trumpet, three trombone sound. GR: You cover the top and bottom with that line-up. BV: That's right! Jerry had some good ideas. He got all of us band leaders myself, Pacheco, Barretto, together. We all had our own sound. He took a little bit of all of us and put it together. I put my style into the mix, Pacheco his, Barretto his, Richie Ray and Bobby Cruz theirs, Orestes Vilato, Roberto Roena, Barry Rogers, all the guys put their own ID. All those ID's were combined to get the Fania All Star sound. Other labels have tried to imitate us with all the "All Star" recordings that have come after us and they don't come close to what we created at the time. When you hear one of our records you know it's us because it's unique. GR: You're right about the fact that you all had your own identifiable sound. A Barretto record would never sound like a Willie Colon record, nor would a Bobby Valentin record sound like a Harlow record. But with all the egos involved was there ever a risk of creating a conflict among the different bandleaders? BV: No. Fania was and remains to this day a family. Everytime we take the stage to play it's a feeling that can't be described. We strive for that. We play those tunes today, tunes that were done twenty-five or thirty years ago, and they still sound heavy. There will never be another Fania. This is especially so today because the focus of the record companies is on the singers. That's not bad in itself because we need singers, but it has lead to a shortage of musicians that are identified as band leaders such as Pacheco, Barretto, Richie Ray, Bobby Valentin, Willie Colon, Willie Rosario, Eddie Palmieri. You hardly see bands being led by musicians today. GR: How do you view the state of the music today? Your a musician who caught the tail-end of the 1950's "mambo craze". You were there through the sixties and the boogaloo, as well as through the seventies when the music was christened "salsa". As a record exec do you feel that radio plays a part in what gets recorded today? Or, do you feel that the fault lies with the record producers? BV: I don't think it's the fault of radio because they play whatever they think is good or sounds good. I would blame, if that's the right word, the record companies. They are gearing the market commercially towards one direction which is women. During the sixties and seventies there were few recordings geared only towards the women. Back then the marketing was done for everyone. Men and women enjoyed what was being produced back then. Nowadays the record companies are marketing these singers to capture the female record buyer. That is why you can't write aggressive arrangements for the tunes that are being recorded these days. I don't think it could be done because it would not fit. GR: Right, it would be like filming a love scene in the middle of a stampede. BV: Excatly! And it is not because of the musicians of today. The musicians today are better prepared than the musicians of yesterday. Why? I'll tell you. When I moved to New York I wanted to study music. I could not study because I didn't have the money. I went to Julliard and the tuition was $5,000.00 for the year. That was a lot of money back then. We're talking 1957 to 58. I couldn't afford it. GR: People don't realize that. Like Puente for instance, he attended Julliard only because of his veteran benefits. BV: I tried to join the service so that I could also use the benefits to go to school but I was rejected three times. I really wanted to go because I knew that I would have the opportunity to study. I just didn't get the opportunity. Now, the musicians are better paid. A new group can make $6,000.00 to $7,000.00 a gig. I use to just make $1,000.00 a gig. And when I first started the band we use to get just $250.00 a gig. Everything is relative since a dollar back then is not a dollar now. But what could you do with $250.00 after paying eight musicians. We didn't have the money to go to school. Nowadays the guys study. They have lots of opportunities. They have access to computers where they can find whatever they want whenever they want. They have lots of books. They come well prepared nowadays. The problem is that they are well prepared but now their role is diminished. GR: They are second class citizens when it come to the singers. BV: That's right. And there are some good singers and some bad singers. And you know that. But nevertheless the musician's role remains the same. That is why I put the blame on the record company. Once the labels give the musicians the chance to be bandleaders and musical directors you'll see things start to change. If your a bandleader and you play an instrument you know what instrumentation you want and you have an idea of what it is going to sound like. That's something that a singer does not know or understand if he is not a trained musician. The only singer that I have known that knew exactly what he wanted was Tito Rodriguez. And Tito knew exactly what it would sound like. These singers of today, and there may be some exceptions, do not know how the band is going to sound. GR: They depend on the producers. BV: Right. Radio just plays whatever they are given. GR: I once told a singer who was hot on the charts that his "hit" sounded as if he was trying to sound like Marc Anthony. He responded that it was exactly what he wanted to do. I told the guy that maybe he should try finding his own identity. BV: But they don't know that. They don't know what it is to have you're own identity. GR: That's because they don't know anything. In most cases the only thing that they could read on the sheet music is the title. And some of them I don't even think can read that! Let's change the theme here. Who were some of your influences that helped to define your style? Was Tito Rodriguez one of them? BV: That's my style, and still is my style. Those arrangers that Tito used like Ray Santos and Rene Hernandez and some of the American guys he used, those were my influences. I use to, and still do, listen to jazz. Those phrases I would hear I would find ways to incorporate them in the "Salsa" tunes I would arrange. Those were my major influences. As an arranger I tried to find my own ID so people would recognize my work and say that's Bobby Valentin's writing. That was so for me as a bandleader, and even as a bass player. I always wanted the public to know my work. I'm very proud of what I have accomplished. And I always tell the young musicians to try and find their own sound as well because that will distinguish them from all the rest. El que imita no va a ningun lao. I don't know if you remember all those timbaleros that use to come to New York imitating Tito Puente. Who did they help to promote? Tito Puente, right? GR: Back then the only ones that had their own style were Oreste Vilato and Manny Oquendo. BV: We're back to what I use to tell you. You need to find your own style. Nowadays it is not done. GR: Let me ask you this. The word "salsa", there are those that say it came from Venezuela, others say it was Jerry's term, and then Izzy Sanabria says it was his term. What's the deal? BV: I was in Venezuela in 1963. The first time I heard the term used in the way it is used today was in Venezuela in 1963. It was a DJ from a radio station in Venezuela, who was a compadre of Tito Rodriguez, I believe his name was Danilo, who I first heard use the term to refer to this music. Before the music would be referred to as guaguanco, chachacha, guajira, guaracha and mambo. This guy used the term to refer to all the Afro-Cuban rhythms. However, that remained a local thing until Fania internationalized the term for all the music on the label by all the artists on the label. From then on it has remained so. GR: Who, in your qualified opinion, do you consider to be some of today's top arrangers in the genre? BV: Jose Lugo, Papo Lucca, Louie Garcia, Luis Perico Ortiz, Ricky Gonzalez from New York, and Oscar Hernandez who use to play with Ruben Blades.Those guys musically speak to me. Nowadays everyone wants to sound like Sergio George. That's fine because he's got that. But if you want to copy his style you're just promoting Sergio George and not yourself. Even I sometimes think it's Sergio's arrangements at times only to find out later that it's not. And what's more is that there is nothing new there. Those phrases have been used for years. It's just the way in which they are combined now that gives it the appearance of something new. GR: What's your opinion about the music scene now on a whole? Is it better or worse? BV: The recordings are better technically. Back then we didn't have the equipment we have now. We use to record live to track. Now we record everything separately. You don't see those live recordings anymore. You lose a little flavor but you get better sound. The musicians are better prepared and the equipment is a lot better. However, you lose that special feeling of the live sessions. That interaction between the musicians is no longer there. Little by little we're getting back to that old style, but we're not there yet. GR: You and Willie Rosario have been pretty vocal about the non-existent club circuit here in Puerto Rico. You guys believe that if the current trend continues the music is going to be lost forever. BV: And that's the truth. You don't find any night clubs here anymore. All the clubs here now are geared towards the merengue crowd. There were nights such as Thursday night at the Sands and Saturday night at the Caribe Hilton that were geared towards the "salsero", but that has all disappeared. GR: Do you feel the major cause of the decline of the "cuchifrito" circuit has been the quality of the music? BV: I remember that we would always write the arrangements with the clave in mind all the time. We would arrange the tunes with the dancer in mind. No one does that now. GR: Do you think that the scene would get a boost if the labels would reinforce the "pretty boy" vocalist with an agressive band? BV: Of course! I think the people would accept it. GR: With that said, where does Bobby Valentin go next? BV: I am currently working on my next album. I'm going back to the old style because in all the presentations I do, even though I have new material, all they want to hear is the stuff I did fifteen, twenty, and even twenty-five years ago. So to me that means they like it and I'm going to stay in that mode. Like it or not that's what I'm doing. That's me. That's my style and we have to keep it alive. And the important thing is that there is a public that wants this. GR: If you were asked to select only one of your songs for the purpose of placing it in a time capsule, which song would you select? BV: Now you put me in a tight situation. You know my favorite album is AFUERA, on which we recorded El Jibaro Y La Naturaleza. That's my favorite. GR: That's exactly the one I would pick! BV: That's my favorite of my thirty-eight recordings. BV: You know that was a live recording the brass and rhythm section with the exception of the coro. Barry Rogers was the guest artist. I think that El Jibaro Y La Naturaleza is my signature. Marvin and all the musicians did a great job. That's my favorite and it would have to be El Jibaro Y La Naturaleza. GR: That's my selection. With that done what would you like to leave the reader with? BV: I would like to let them know that I'm still alive. I'm still recording and playing. I'd like to thank all those people that ask about me. They are going to continue to hear from me and I thank them for the support they have given me throughout my career. I'm here ready, willing and able. 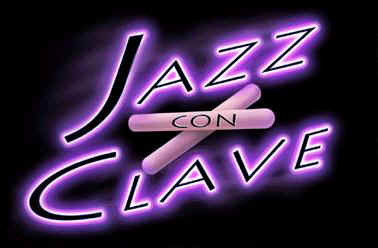 All contents © 2001 by Jazz Con Clave. All rights reserved. Reproduction in whole or in part is strictly prohibited. All trademarks are property of their legal owner.